Automatically create an action in Hive when Pulse is triggered. Note: In order to do this, you need to have a free Zapier account. Have you learned about Pulse? 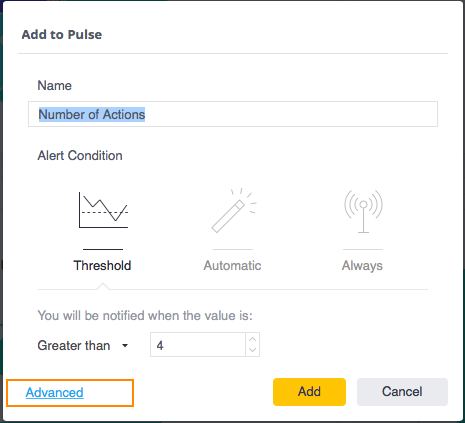 Setting up Pulse alerts notify you when certain metrics go above a below a threshold or automatically detect anomalies. 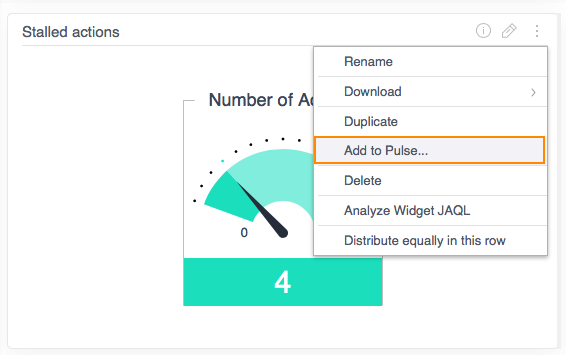 With a Zapier integration, you can receive Pulse Alerts as messages on Hive. It can also be set up to create an automated action when Pulse is triggered, assigning you a task. Select a Hive Action after the trigger. *We recommend creating a new message and a new action. 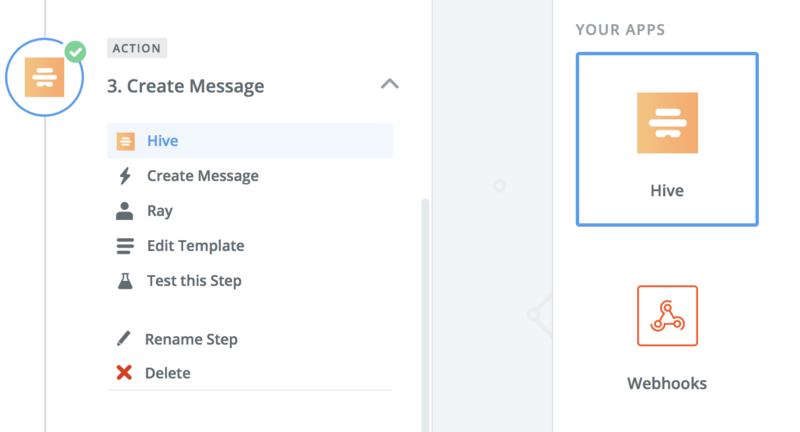 The message is an instant notification, and the new action is set as a task for you to look into the trigger. 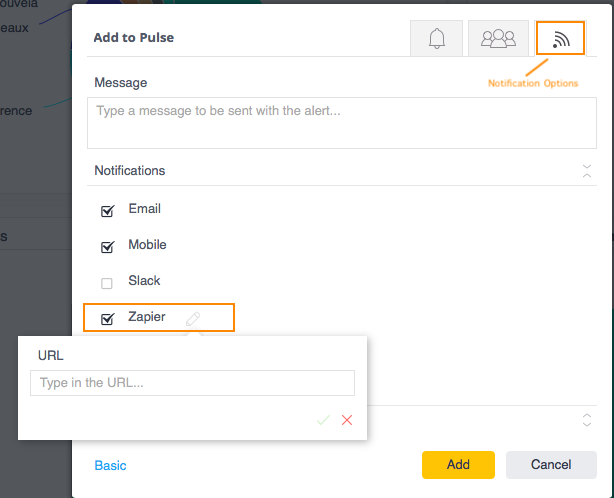 Click "Notification Options" Icon and check "Zapier"
With this set up, you will now receive Pulse notifications in Hive. 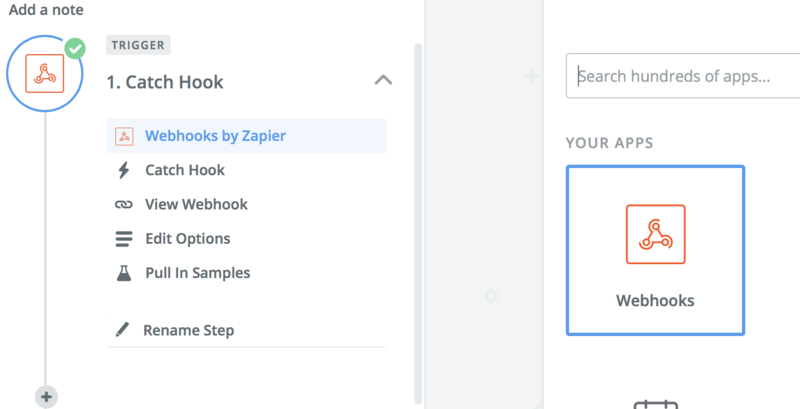 *Note: The web hook url must be set on Pulse and must be triggered at least once, in order for Zapier to catch the webhook.